Works perfectly on the 1 gallon drink dispenser I use for brewing. Much easier to put on and off than separate cloth and rubber band. I purchased the brewer cap which made it so convenient for CB. Liked it so much going to purchase more, it fits the gallon jars perfect as well. 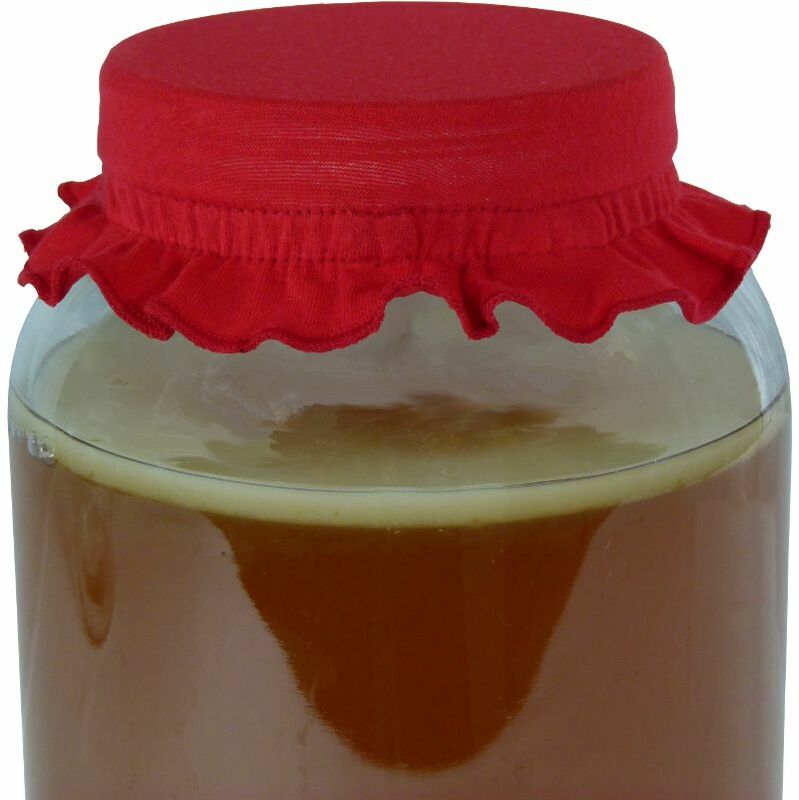 The brewer cap is so easy to use, and reminds me of Little Red Riding Hood's grandmother's cap. A fun way to top off your jar! 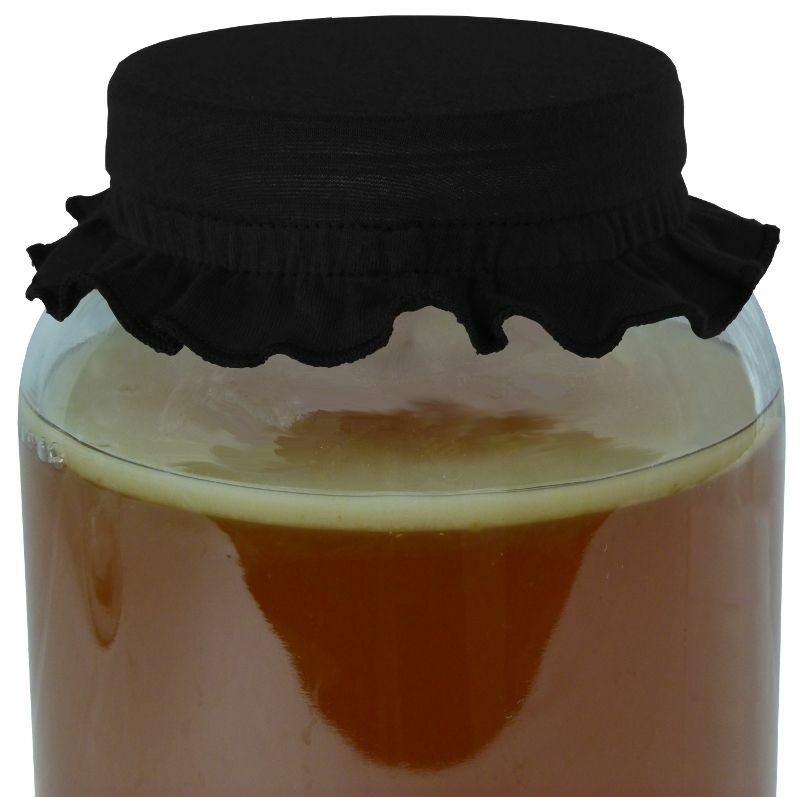 I purchased the stretch cloth jar cover from your online store and am completely satisfied. The jar cover fits beautifully. I am very pleased. Thank you so much! 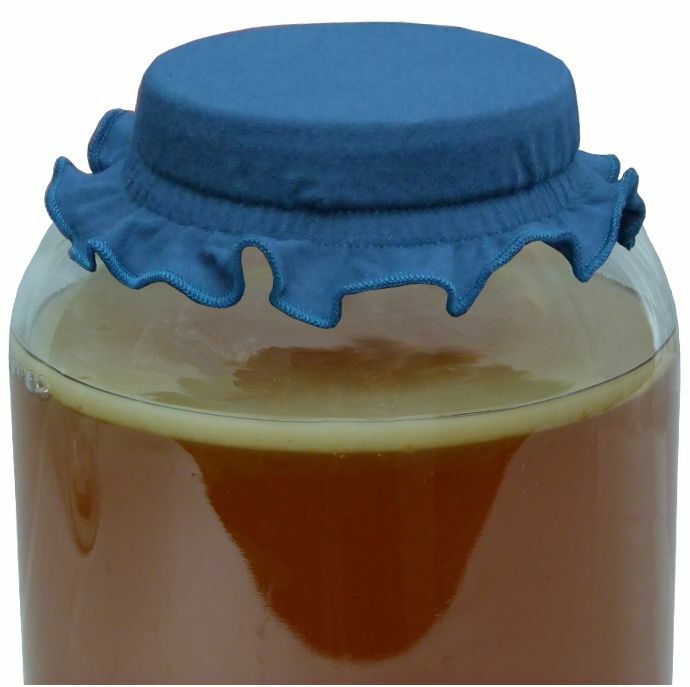 I ordered these for my 2 gallon glass jar for kombucha .they fit nice look great,and are easy to use I would definitely recommend these. These caps are fantastic! 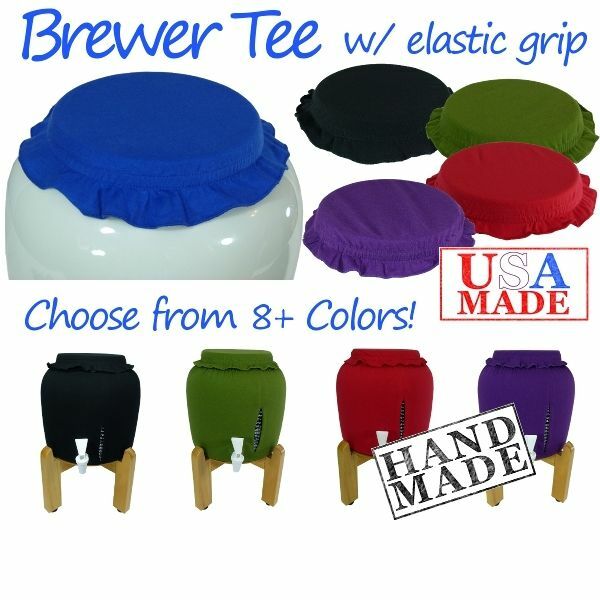 I have a larger one for my continuous brewer and one of these smaller ones for my gallon-size batch brew jar. They're easy to put on and take off and they look great. And they let the booch breathe while protecting it from fruit flies and other contaminants. Love these! So cute and functional. I bought one then a week later bought a second one! 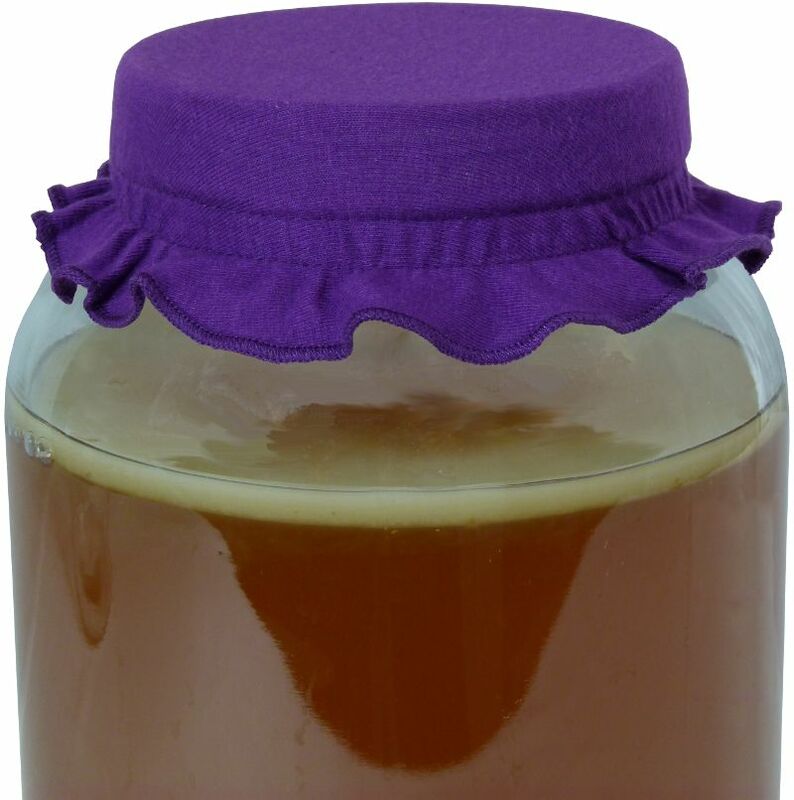 So glad I ordered the beautiful olive brewer cap that looks beautiful sitting atop my stainless brewer with Ferment Friend. 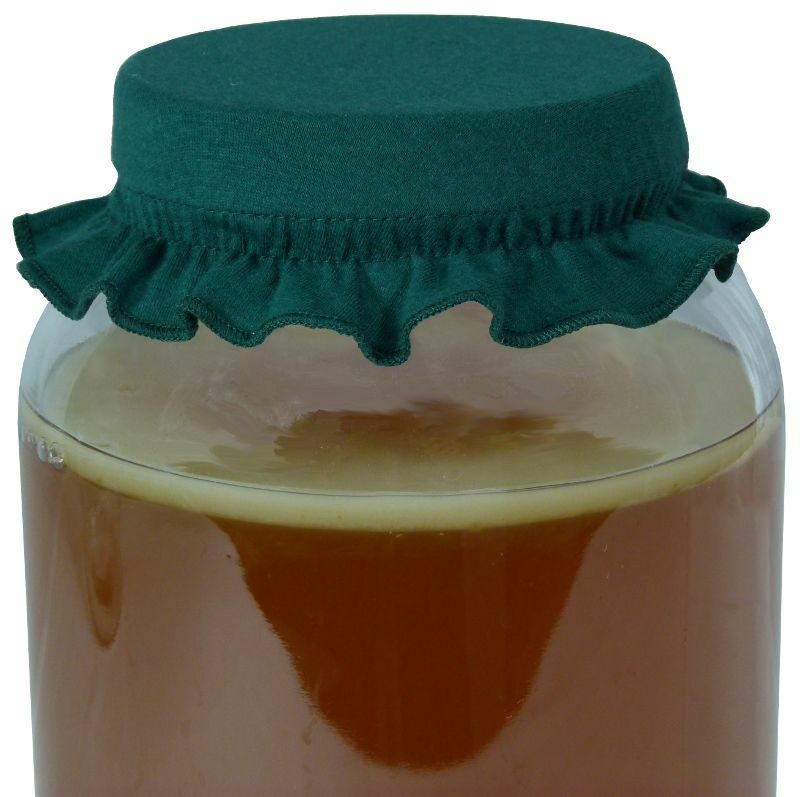 It creates a wonderful seal; so good, that I haven’t had a fruit fly enter – only the nearby apple cider vinegar hotel seems to offer more appealing lodging. I am curious as to how often and how I should clean it? Would the washing machine work without breaking down the fabric as to allow for the entrance of a tiny fruit fly egg? I’ll order another before I wash it as I was torn between the burgundy and avocado. Wouldn’t be without it. 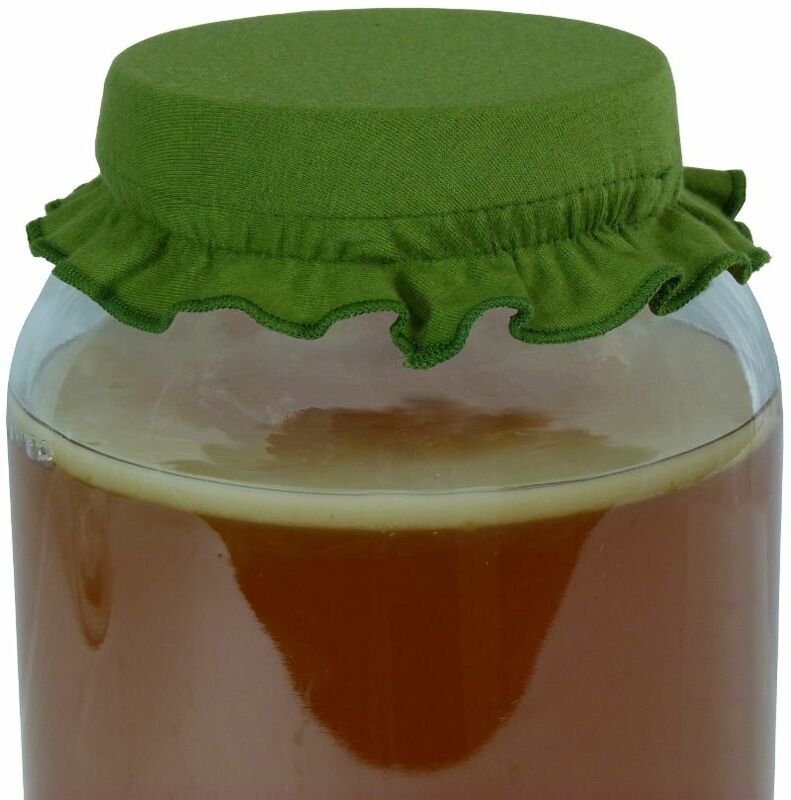 When I stumbled upon Kombucha Kamp for some starter SCOBY's, little did I know they would have everything I needed to make brewing booch a breeze! These handy little caps make brewing so much easier. I was using a coffee filter with a rubber band prior to purchasing these and it was no simple feat to get those babies on. 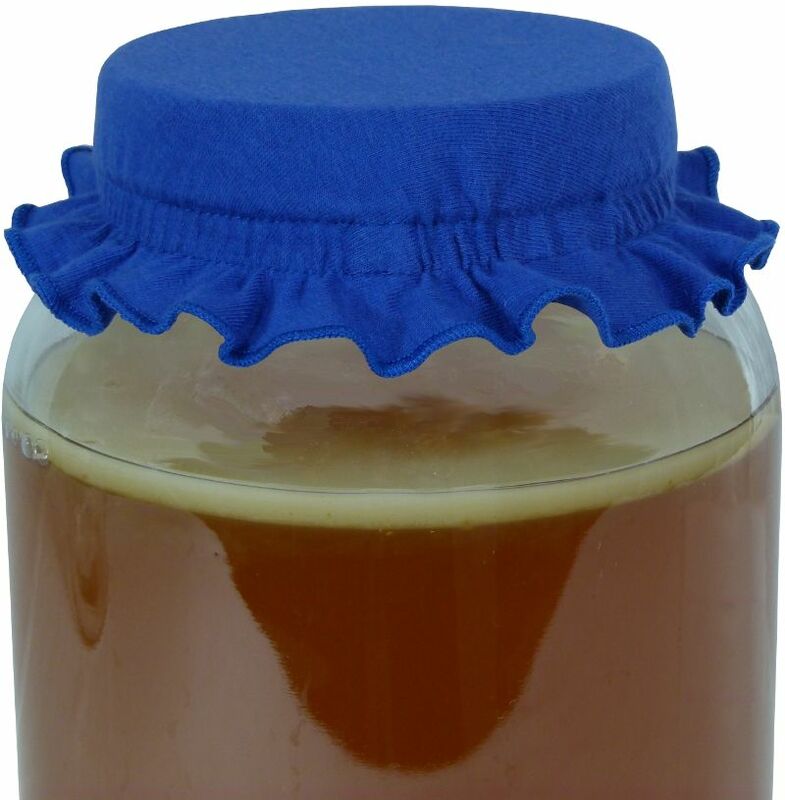 Now, I slip my cap on so easily and it really does make life easier when brewing. Thanks Kombucha Kamp! A perfect accessory, totally functional, necessary and cute as a button. Love the colors. These are the nicest caps. Stays tight and wash nicely. These are adorable! They are well made and come in great colors! They make the jars look super cool! Love them! 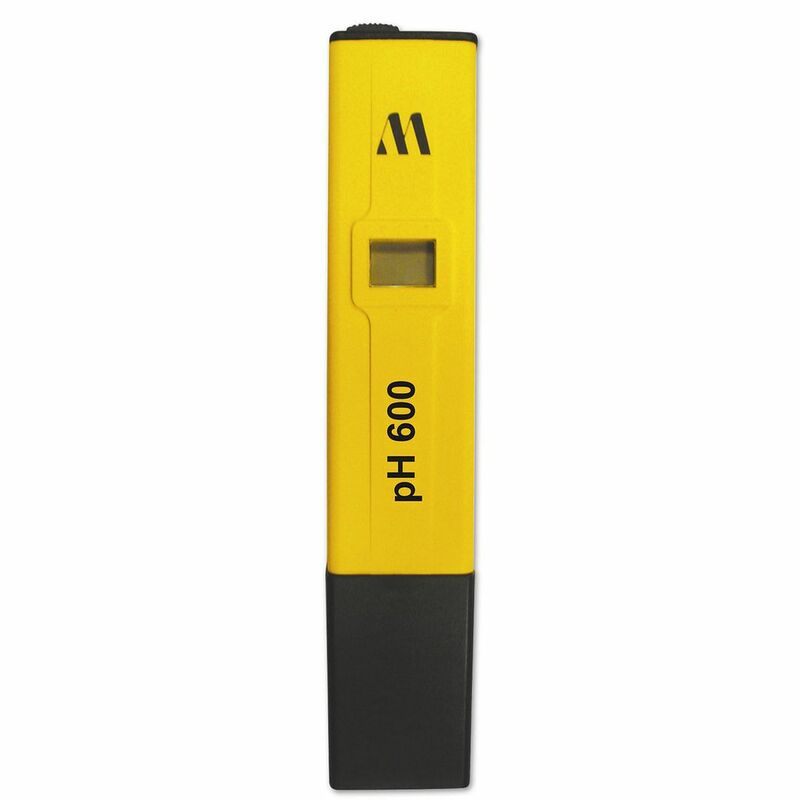 Great product, shipped and received so fast!!! So glad I ordered this brewer cap. Snug fit & seals the jar very well. 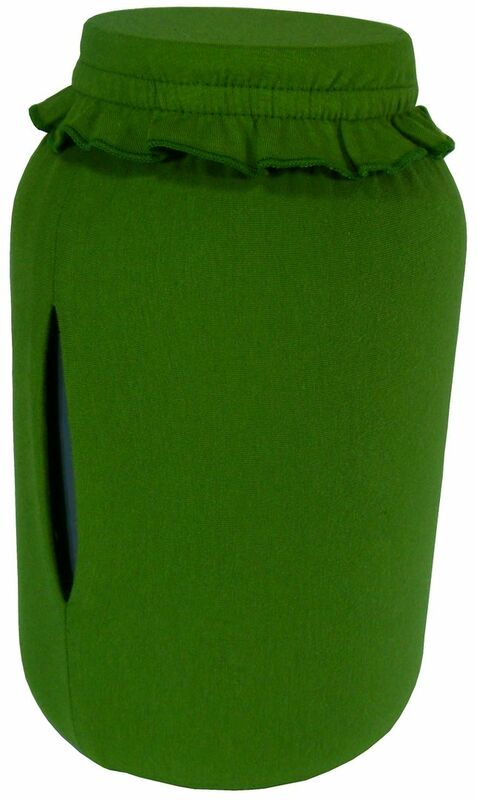 Good quality fabric & vibrant avocado color. Would highly recommend cap & I will be ordering more. Very convenient to have; no fussing with rubber bands! Yeah! Thanks Hannah. 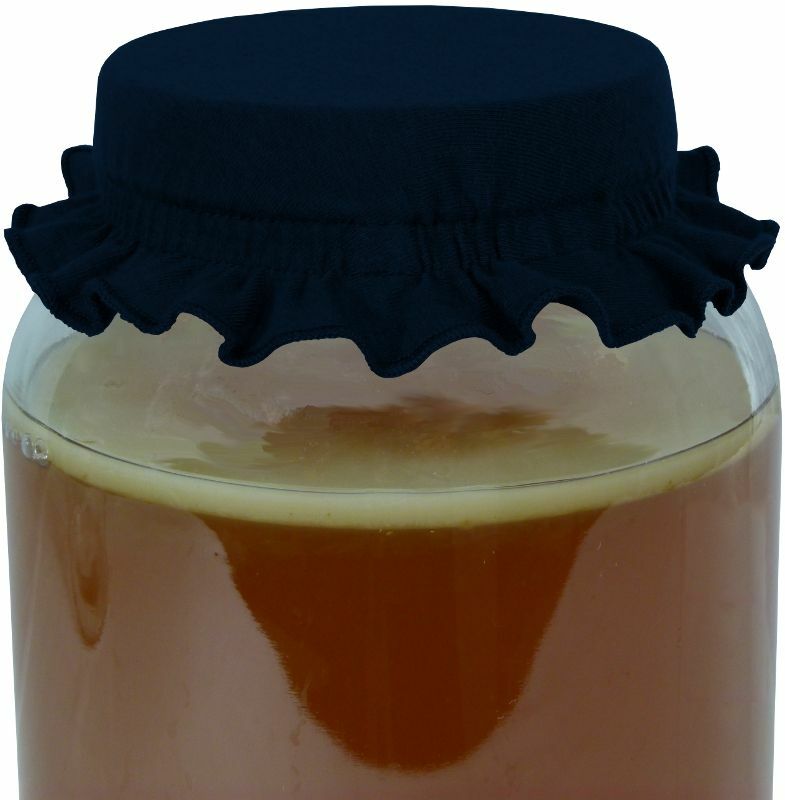 I purchased a teal brewer cap for my glass kombucha jar. It fits perfectly and is much more convenient than using a cloth and rubber band. It also adds a nice splash of color. The brewer caps are the perfect fit for every jar I've tried, everything from a regular ball jar to a gallon size ball jar. They are top quality and wash up nicely. Highly recommend! Perfect size! The mouth of my jar is a little wider than the specifications, but it works like a charm! Handy, easy, and purple: perfect! This brewer cap is so handy. It is a must if you order a continuous brewer. I was glad to have it last week when I refilled my brewer. My dog stole the plastic ring off of my couter and proceeded to chew it to bits. Thankfully I had my brewer cap to use instead! Fits snuggly and adds a splash of color!